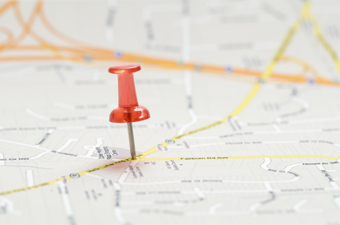 Hopefully the following seven tips will help you when choosing a location for your next home. The most important question and the hardest one to answer. Ask the local police, check statistics on the internet, talk to people who live in the neighborhood. All of these things help; none of them are definitive one way or another. Driving through a neighborhood at different times of the day, and different days of the week is always a good idea. A Realtor is unable to give you specific information under the Fair Housing Law and so you as a buyer need to make every effort to research things that may be of concern to you. Don't underestimate travel time when choosing a home. In a smaller area like Auburn and Opelika, it may not seem like much, but an extra 10 or 15 minutes twice a day 5 days a week gets old. This, along with the cost of gas for your commute needs to be considered when choosing a home location. Even if you don't have kids, don't want kids, or have kids that are older, the school system can be a big factor in re-sale value. This is something you should at least consider even if it is not a high priority in your decision list because it will be in someone else's. Being too close to businesses, industry, and high traveled areas can cause you some discomfort. Light, sound, and traffic can make your home less comfortable. On the flip side of this, having to drive 15 minutes just to get a gallon of milk can be a nuisance as well, so you might not want to get too far away! Be careful buying the most expensive house in the neighborhood. It is harder to appreciate in value when you are already at the top. Pay for nicer finishes, knobs, hinges, cabinets, etc. because you want to live with nicer finishes, not for any other reason. The appraiser when you go to sell your home may not share your estimation of what your nicer finishes are worth, so your selection should not be based on selling; it should be based on what you want to live with. A well built home always holds its value better when you go to sell it. There is less in cost of repair and maintenance for well-built homes. If you have any questions on choosing a home location or locating the perfect home, contact a Berkshire Hathaway HomeServices agent today!